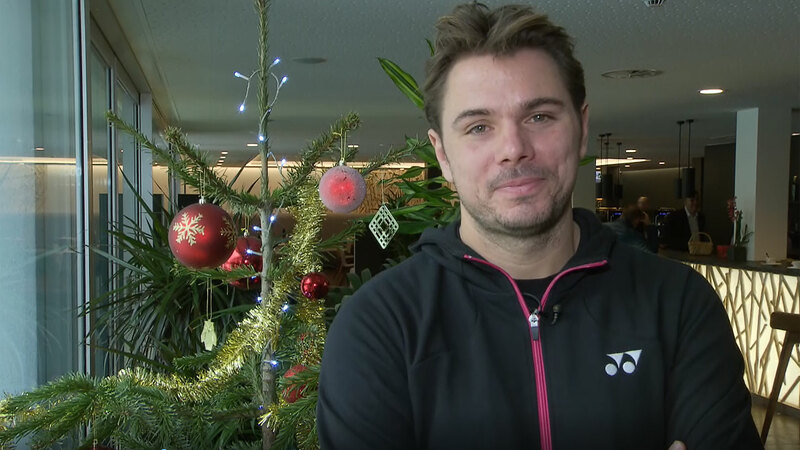 Stan Wawrinka is looking forward to returning to the ATP World Tour in 2018, but admitted to media at the Geneva Country Club that he is still working hard to overcome his knee cartilage injury, which required two surgeries. The Swiss star has not competed due to a knee injury since 3 July when he lost to #NextGenATP Russian Daniil Medvedev in the Wimbledon first round. “I’m doing much better now,” said Wawrinka, who returned to on-court training in November. “The past five months were the most difficult ones of my career, but even today I’m not 100 per cent yet physically and with my tennis. I’m working hard each day to improve. But at least it’s going in the right direction and I’m very satisfied with that. “It was a cartilage problem. There was too much cartilage. The first surgery was arthroscopy to have a look at the problem and the second one was to reconstruct the cartilage. That’s why I needed to have two surgeries. It was very difficult and tough, a big surgery. I needed crutches for eight weeks and lost a lot of muscles because of that. Wawrinka, in consultation with his doctor and Pierre Paganini, is aiming to return for the Australian Open, the first Grand Slam championship of the year, which begins on 15 January. The 32 year old also admitted he has yet to find a new coach, following the departure of Swede Magnus Norman, who decided to step down on 25 October. As a team, Wawrinka reached a career-high No. 2 in the Emirates ATP Rankings and a 12-5 record in finals, including the 2014 Australian Open (d. Nadal), 2015 Roland Garros (d. Djokovic) and 2016 US Open (d. Djokovic) crown, plus one ATP World Tour Masters 1000 title at Monte-Carlo (d. Federer). “I have not found a coach yet,” said Wawrinka. “I already had Yannick Fattebert with me who will follow me more often next year. That was planned in any case. I’m looking around, but I’m not stressed about that because I know that the most important thing for the months ahead is to be 100 per cent again.